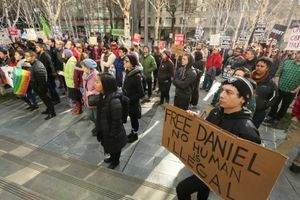 While a federal judge declined Friday to release a “Dreamer” picked up in Des Moines last week, his lawyers are accusing the government of serious misconduct at the Northwest Detention Center in Tacoma. In the latest twist to a case that has drawn national attention, lawyers for a detained “Dreamer” claim a note from the young man at the Northwest Detention Center was altered to make it look like he was admitting gang membership. Mark Rosenbaum, a Los Angeles attorney helping to represent Dreamer Daniel Ramirez Medina, said Thursday evening that the alleged note tampering was “one of the most serious examples of government misconduct” he has seen in 40 years of practice. Rose Richeson, a spokeswoman for U.S. Immigration and Customs Enforcement (ICE), could not be reached for comment. An officer who answered the phone at the Tacoma detention center Thursday night said nobody would available to discuss such matters until Friday. The accusation about the note is the latest controversy in a case marked by contradictions and speculation over what it may reveal about President Donald Trump’s immigration policies. In the past couple of days, the federal government and attorneys for Ramirez Medina, as well as the young man himself, have given vastly different versions of who he is and what he said under questioning. Meanwhile, a federal court hearing on a lawsuit filed by Ramirez Medina was held Friday morning, charging that he has been illegally arrested and detained. A federal magistrate in Seattle on Friday declined to release Ramirez Medina. Magistrate Judge James P. Donohue said in U.S. District Court that Ramirez Medina must request a bond a hearing from a federal immigration judge and should get one within a week. Ramirez Medina’s lawyers had asked for his immediate release. Dozens of people demonstrated in his support outside the courthouse, and blocked some downtown streets. In documents filed Thursday, the U.S. Justice Department said there was “no legal basis for a district court to consider any challenge” Ramirez Medina’s detention, in part, because his case is pending in immigration court. Briefs submitted by both sides Thursday fleshed out their varying accounts of what happened since agents took Ramirez Medina into custody. Ramirez Medina, 23 and the father of a 3-year-old, was brought illegally to this country when he was 7 and later given authorization to live and work here under President Barack Obama’s Deferred Action for Childhood Arrivals (DACA) program. ICE agents arrested him Feb. 10, accusing him of being a gang member, which would void his DACA status. 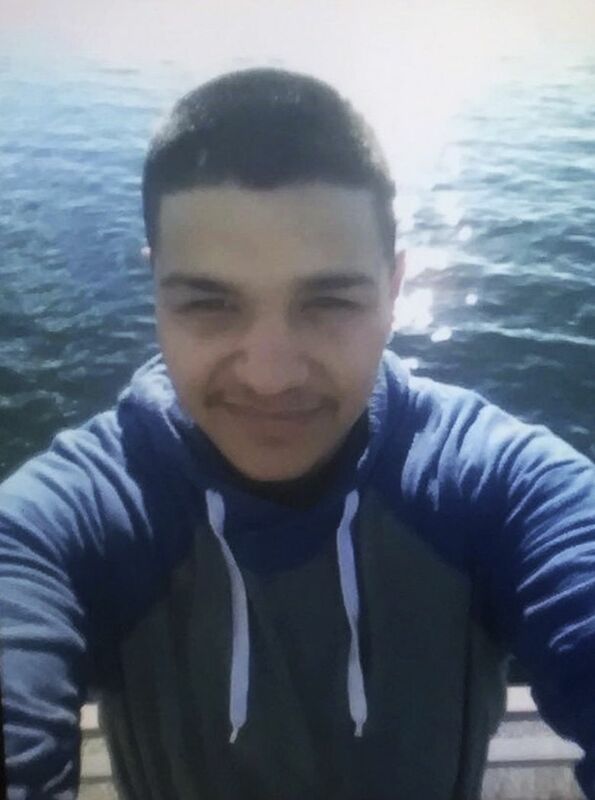 In the brief submitted by Ramirez Medina’s lawyers late Thursday, and in a subsequent conference call with news reporters, Ramirez Medina’s lawyers said the young man submitted the note to detention officials to get out of a gang unit he had been placed in. Altered or not, the note still ended with him repeating that he was not affiliated with gangs. According to the government brief, ICE agents arrested Ramirez Medina in a Des Moines apartment around 8:30 a.m. last Friday. They were targeting not the 23-year-old but his father, who had previously been deported eight times, convicted of narcotics trafficking and sentenced to roughly a year in prison in this state, the government said. While there, the agents found Ramirez Medina sleeping on the living-room floor, according to the government brief. Asked by an agent if he had ever been arrested, Ramirez Medina said “yes,” the brief said. At that point, the agent arrested him. It was later, while being interviewed at an ICE holding facility, that agents asked Ramirez Medina if he had been involved in any gang activity. “No, not no more,” said Ramirez Medina, according to the brief. The agent concluded that Ramirez Medina no longer qualified for the DACA program due to gang association and he was taken to the detention center. Then, they started asking him about gang affiliation. He said they zeroed in on his tattoo, which they assumed was related to gangs, but he said actually signified the place of his birth: La Paz, the capital city of Baja California Sur, abbreviated by the initials “BCS” on the tattoo. Rosenbaum, in the conference call, called the gang accusation racist and an attempt to cover up a mistaken arrest. “He has picked the fruit that all of us eat,” added the L.A.-based Rosenbaum, noting that Ramirez Medina was a farmworker in California before moving here about a month ago. In his declaration, the Dreamer said he was looking for a way to provide for his son, perhaps working in auto repair. As yet, nobody knows whether the case signifies anything about Trump’s plans for Dreamers. Trump promised to end the program during the campaign, and when he was elected, many Dreamers feared the president would seek to deport them. His administration continues to approve new applications and renew existing DACA permits, said Luis Cortes Romero, another of Ramirez Medina’s lawyers and a Dreamer himself. Jorge Barón, executive director of the Northwest Immigrant Rights Project, isn’t so sure. “I do think this kind of situation would not have happened under Obama,” he said. 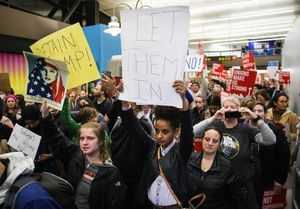 He said he worried that an under-scrutinized executive order issued by Trump during his first week in office sent a signal to immigration officers to step up their enforcement efforts — and gave them broad discretion about whom to target. That order, which contained more-widely publicized provisions aimed at punishing “sanctuary cities” like Seattle, outlined new priorities for immigration enforcement. They included deporting undocumented immigrants charged with any criminal offense, whether they were convicted or not. What’s more, the order also licenses immigration officers to remove anyone who, in their judgment, poses a risk to public safety or national security. “That could be anything,” said Barón, saying such broad leeway invites abuse. The Department of Homeland Security has not linked Ramirez Medina’s arrest to Trump’s order, however. In a statement, it pointed to longstanding guidelines in the DACA program saying that participation can be terminated at any time for those found to be a threat. Reasons include criminal activity and gang membership. Since 2012, the statement said, 1,500 Dreamers have had their permits revoked for such reasons. The hearing Friday is preliminary, and is not likely to get into the merits of the case. Rosenbaum said he hopes to persuade the judge to hold a hearing on that soon.